PC enthusiasts and gamers understand that modern graphics cards are able to play the latest games at resolutions way above the standard 1,920x1,080 (1080p) available on a wide range of inexpensive monitors. The next real step up is with 27in screens possessing a tasty 2,560x1,440-pixel resolution, and these monitors typically retail from £400 upwards. Yet if you have serious money burning a large hole in your pocket, Asus has recently announced a 4K monitor costing £3,000. But there remains another resolution that's ideally suited for users who need a super-widescreen perspective. 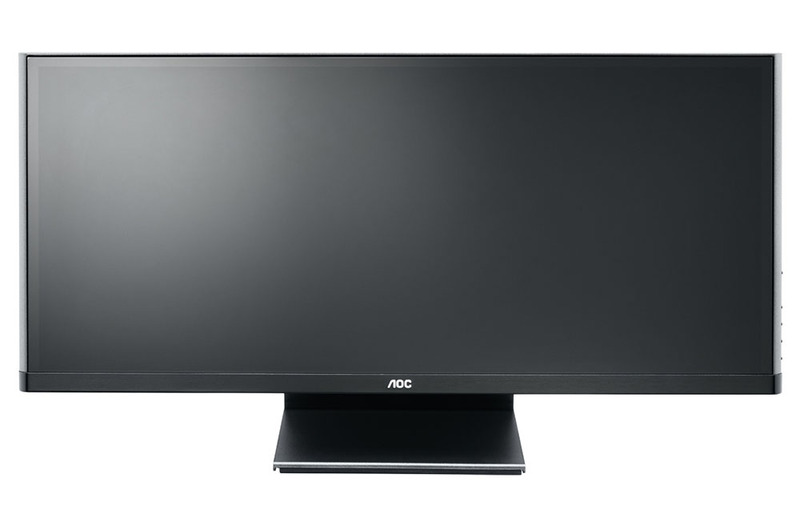 Using 2,560x1,080-resolution panels ensconced within 29in screens, these monitors have a 21:9 aspect ratio and offer a robust alternative to running two Full-HD screens side-by-side. The £340 AOC LED-backlit, IPS-powered Q2963PM is the firm's sole 29in, 2,560x1,080-pixel monitor. Presented in a matte plastic finish and not as visually striking as, say, the same-resolution Philips 298P4QJEB, AOC's design is simplicity itself. The base literally clips in to form an A-frame and the entire monitor is assembled and ready-to-go in under 30 seconds. A fixed base means there's no height adjustment or swivel in either direction; rather, the screen can be tilted -5° to +20°, so do bear this in mind if adjustment is key. 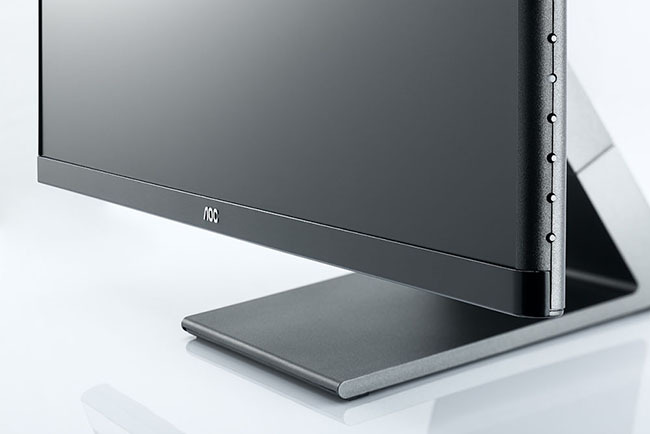 A thin plastic surround, curved on the sides, gives the impression of the Q2963PM having a narrow bezel. This isn't strictly the case, because, if you look closely at the first picture, there's another bezel inside the main surround. The design is very reminiscent of that adopted by Philips, which isn't surprising considering the two firms' monitors are controlled by the same parent company. Four configuration buttons, an on/off button, and a blue operational-status LED are inconspicuously located on the right-hand side. There's no information defining the function of each button, mind, but AOC is clever in providing on-screen graphics immediately to the left of the buttons that, when pressed, make it reasonably intuitive to set it up to your liking. On top of the usual brightness, contrast and situation-specific settings, AOC includes an option called Screen+, enabling you to split the screen into four mini-panels that can each display a separate window. The same thing can be accomplished within Windows by snapping them into place, but Screen+ seems handy for multi-monitor setups. Those who aren't fans of on-screen displays via monitor-mounted buttons can use a keyboard and mouse to navigate the menus through the company's i-Menu software. Notice the rectangular base? A 21cm x 23cm footprint is considered large for a screen of this size, but should you so wish, the monitor can be wall-mounted by standard VESA holes.